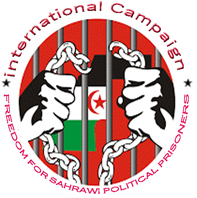 Moscow, April 14, 2019 (SPS) - Sahrawi Coordinator with the United Nations Mission for the Referendum in Western Sahara (MINURSO) M’hamed Kheddad said that a complaint against the EU-Morocco Fisheries Agreement will soon be filed before the European Court of Justice (CJEU), noting that a "very solid" case was prepared to reject the agreement in question. Speaking to Russian agency Sputnik, in Moscow, M’hamed Kheddad said that the Polisario Front intends to file a complaint before the European Court of Justice, against the fishing agreement concluded illegally between EU and Morocco in disregard of CJEU judgments dating from 2016 and 2018. “We are convinced that we have a very solid case and the Court will utterly reject its agreements because they are illegal," said the Sahrawi Coordinator with the United Nations Mission for the Referendum in Western Sahara (MINURSO). The Polisario Front's complaint before the Court of Justice of the European Union comes in response to the adoption, by the European Parliament last February, of the EU-Morocco fisheries agreement and its implementation protocol involving illegally the Sahrawi territorial waters.